Arab Americans with roots in Yemen, many of whom are Muslim, make up the City of Coldwater’s largest minority group. Like other migrants in the United States, Arab Americans often moved in search of better employment opportunities. According to one story, their arrival in the community during the first half of the twentieth century can be traced to one man who was on his way to Indiana to find work. On a rest stop in Coldwater, he learned there was work there and he never got back on the bus. He stayed and invited family members to join him. Since then the number of Yemeni in Coldwater has risen into the thousands, most having ancestral roots in Juban, a rural area of Yemen that encompasses a number of smaller villages. 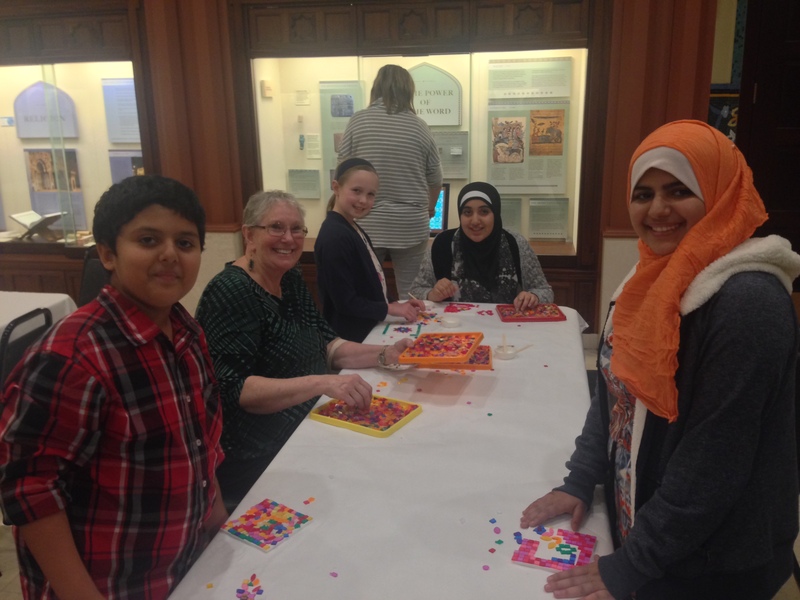 Participants in Tibbits’ project had the opportunity to take a bus to Dearborn to visit the Arab American National Museum. Photo by Amani Alhjaji. SURA summer camp exhibit. Photo by Amani Alhjaji. Through the Heritage Grants Program Tibbits Opera House, Coldwater’s foremost cultural organization, partnered with the Arab American Society of Coldwater and the Arab American National Museum to develop presentations, workshops, and exhibits aimed at fostering conversations about the historical and cultural roots of the local Arab-American community. During school programs, nearly 1,500 students learned about the history of Arab immigrants, about famous Arab Americans, food traditions and some basic Arabic phrases. The same week, over 400 community leaders and citizens listened to cultural and historical presentations during service club meetings that week. 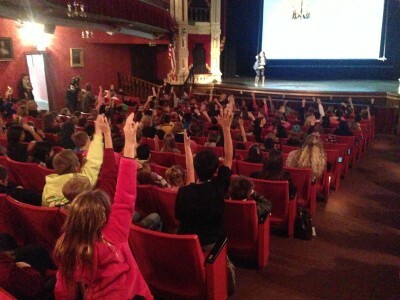 Elementary school students at a cultural program at Tibbits Opera House. Photo by Tamara Barnes. 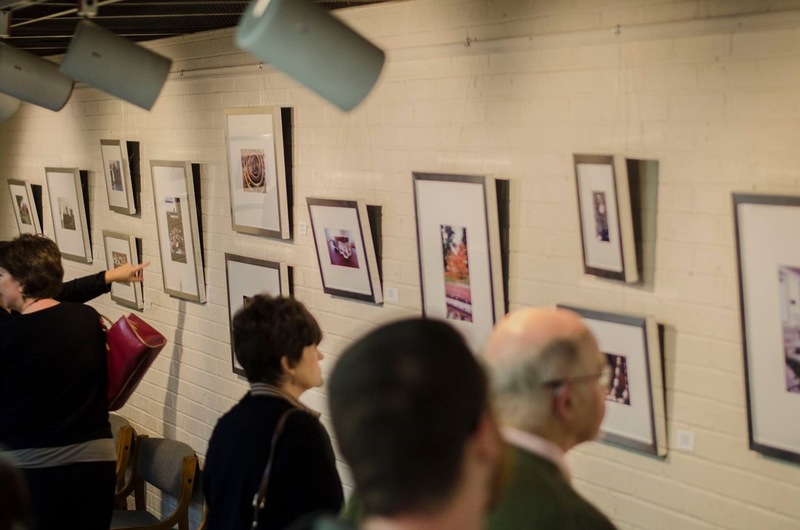 Earlier in the year, there were educational programs for children including support for the Arabic language school, a calligraphy workshop series, and an award-winning photography program, called Sura. Sura is an Arabic word for photograph. In the workshop, students learned not only how to operate and care for a camera and how to compose a shot, but the instruction also goes further to be a catalyst for creating a sense of self and identity. As they look through the camera lens, students develop self-awareness and respect toward others, and an idea of how they fit into the broader community. Through a diverse array of programs, Tibbits’ project has been an opportunity for the authentic voices of Arab Americans to come to the foreground and foster human ties between Coldwater’s communities. Though various parts of the program occurred throughout the year, the majority of it, including presentations to students from Coldwater schools and to leaders in four different service groups, occurred the week of Nov. 16–three days after terror attacks in Paris. Anti-Islamic sentiment rose over the weekend leading up to the programs and continued to escalate throughout the week. The relevance of our work became even more apparent as some parents chose to pull their students from the long-planned presentation by the Arab American National Museum. Tammy Barnes is currently the director of audience outreach at Tibbits Opera House in Coldwater, Michigan where she and her husband also run a small motel. She holds a BA in History from WMU and an MA in History Museum Studies from the Cooperstown Graduate Program. She has worked in public history for almost twenty years and has spent the last ten years focused on preserving and promoting the cultural heritage of underrepresented groups.